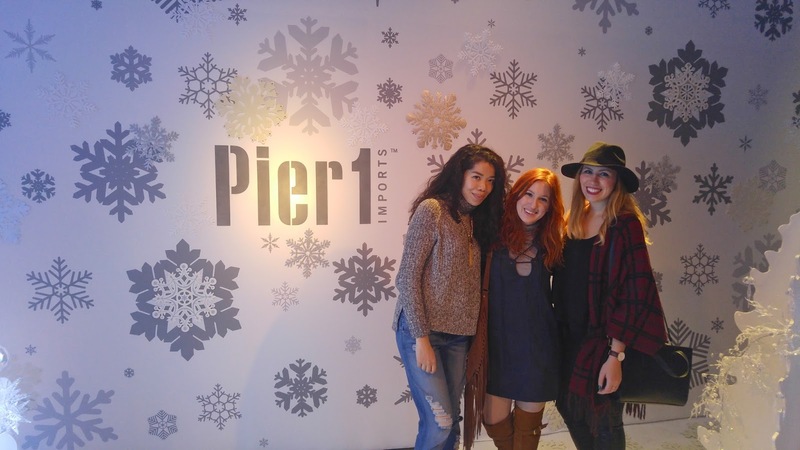 When it came to Tuesday night's festivities, Pier 1 Imports did not disappoint. 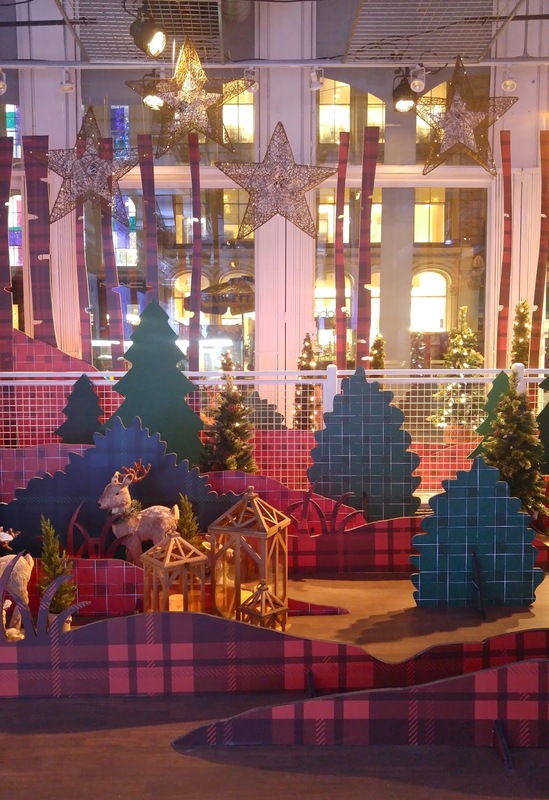 As promised, their life sized Christmas Pop-Up Storybook-inspired installation in Soho sparkled and shined throughout the space. 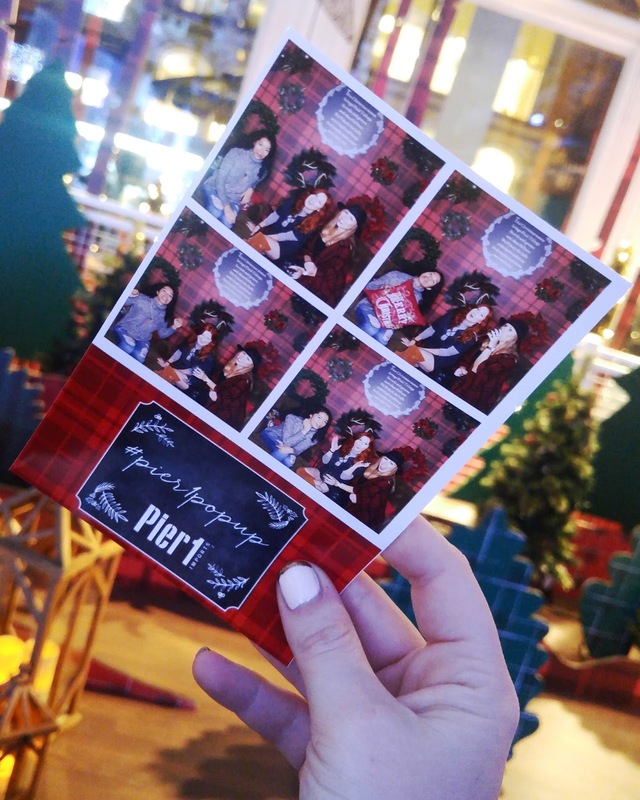 Each section of the ornately decorated winter wonderland was even merrier and brighter than the next. Glowing trees with all of the trimmings guided visitors from one magic scene and colorful vignette to the next. A flawlessly set table with adorable and festive place settings revealed the evening's special guest, none other than the queen of Christmas herself: Mariah Carey, who of course, took the stage in a festive red skater dress. I could not have planned it better. While taking in all the beautiful sights, Jackie and I ran into Aileen and shared the excitement over cocktails and tiny h'ors devours. Jackie, Aileen, and I spent the better half of the evening marveling at the decorations. 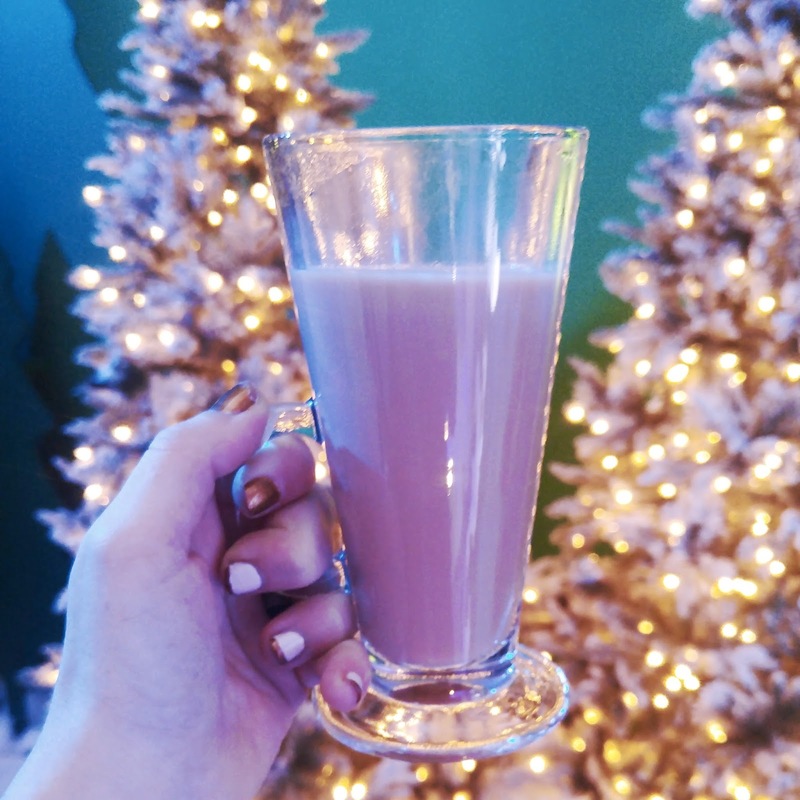 Sipping on gourmet holiday-inspired crafted drinks like Spiked Apple Cider with a sugar rim and classic hot cocoa in front of light covered trees. I think the only thing missing was a working fire place and a floor covered with gifts ready for the taking. 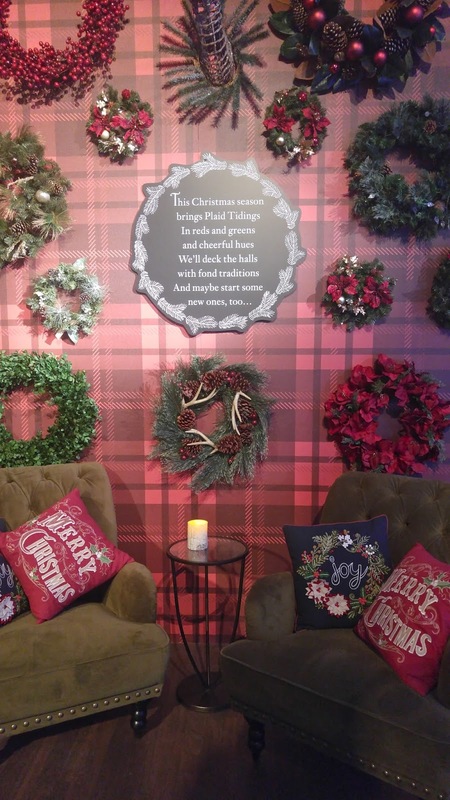 But the festive, plaid-covered wall decked out in wreaths of all shapes and sizes, paired with the coziest plush, tufted chairs and accessorized with an array of knit holiday-ready throw pillows more than made up for it. It almost felt like I was in my PJ's ready to spend the rest of my night nestled up with a good book, while finishing my cocoa. But the DJ's mix of holiday favorites, Justin Bieber, and more, kept me from falling into that cozy, winter daze. Now, I was more likely to find myself bopping my head and breaking out the occasional awkward dance move. If I wasn't before, I'm definitely in the holiday spirit. Now, I'm off to borrow decorating tips from Pier 1 and get started on my shopping. 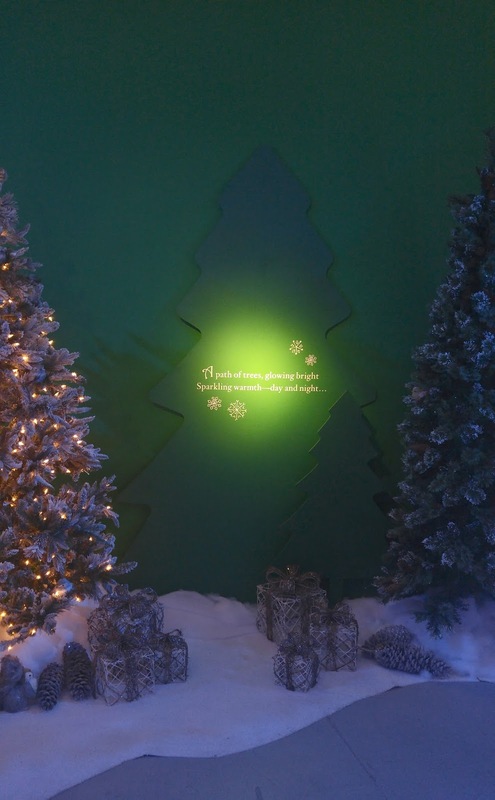 So, if you're in the New York City area and are looking to add a little sparkle to your day or Christmas decoration inspiration board, head over to the Pier 1 Pop Up Storybook at 503 Broadway, NY, NY until December 6th from 11am-7pm and catch a glimpse of the holidays in full form.